We are children of God, with all the rights of full heirs! 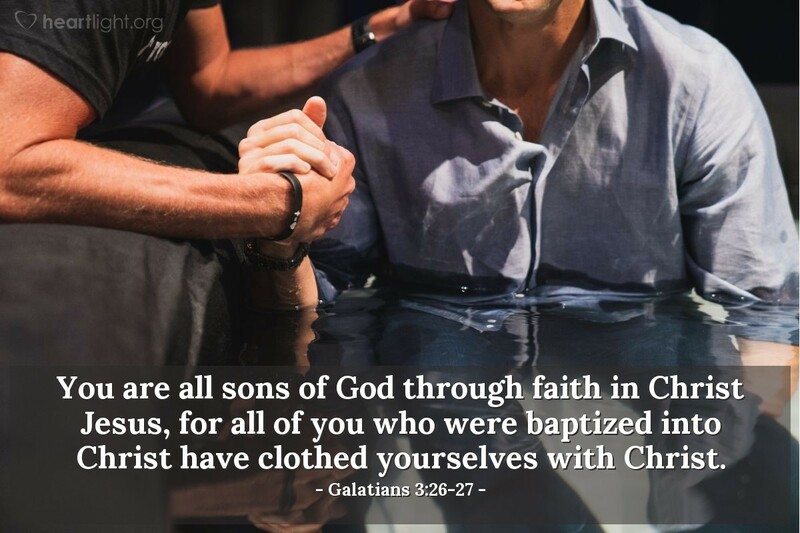 Our faith, expressed in our baptism, declares to the world that we are God's children. We have chosen to be clothed in Christ and his righteousness and not depend on earning our own salvation. He is our salvation and hope. He is our life and strength. He is our older brother and Savior. He is our Lord. Thank you, dear Father, for adopting me into your family. How can I thank you for all you have done to make me your child and a rightful heir to your glorious riches of grace. Thank you, dear Jesus, for your sacrifice that brought me into your family. In your name, O Jesus, do I offer my prayer and my praise. Amen.